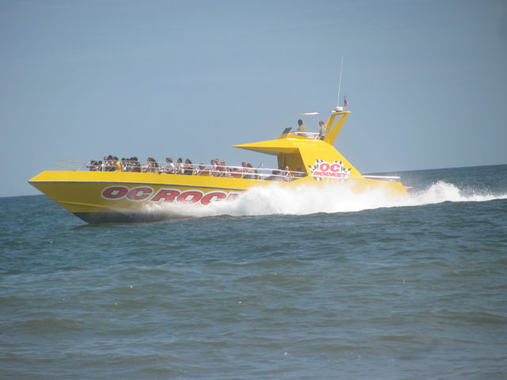 Offer includes admission for one person aboard the OC Rocket. Voucher MUST be redeemed 20 minutes before departure at ticket booth for color coded boarding pass. Departure times listed at TalbotStreetWatersports.com and are subject to change.